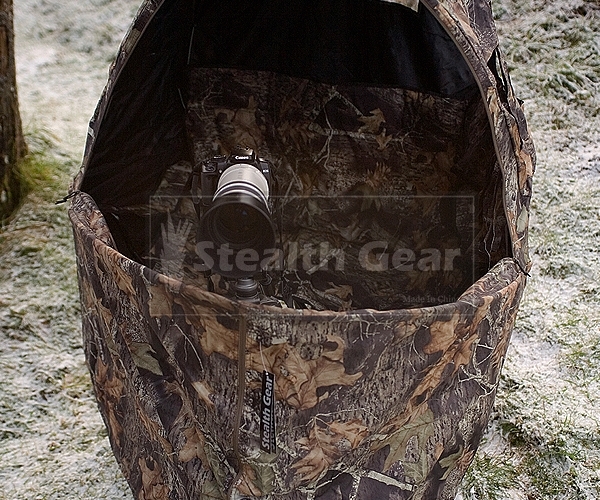 The Stealth Gear two man chair hide is ideal for Photographers and Wildlife watchers who are looking to blend into the countryside. 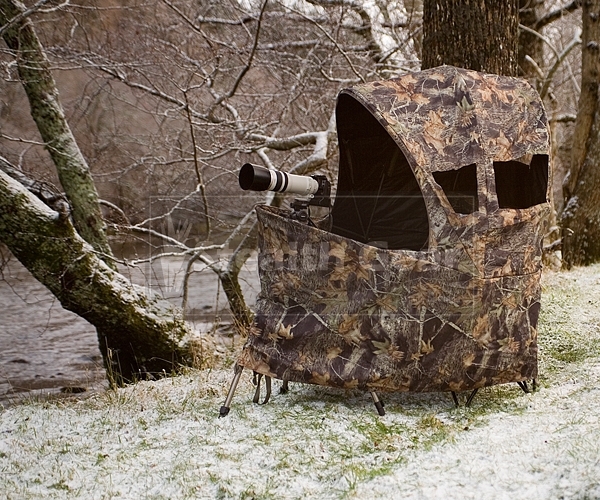 Inside the hide you will find enough space for two tripods and your equipment. 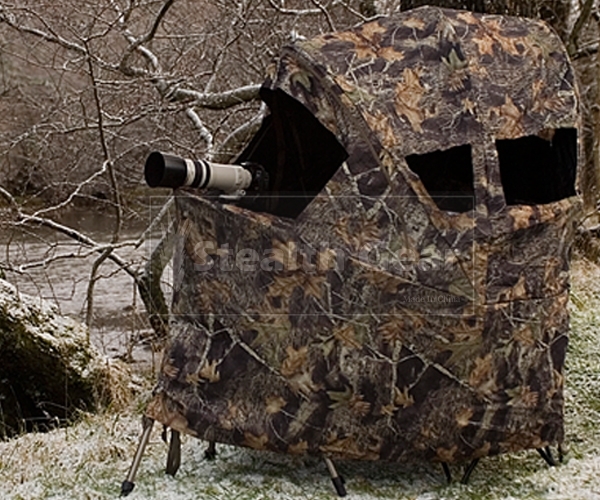 The hide is designed for two photographers to be able to work comfortably while being protected from the elements. Two sets of eyes are always better than one for spotting wildlife. Should you require more space then either the Pro or lite hides hide are worth considering. 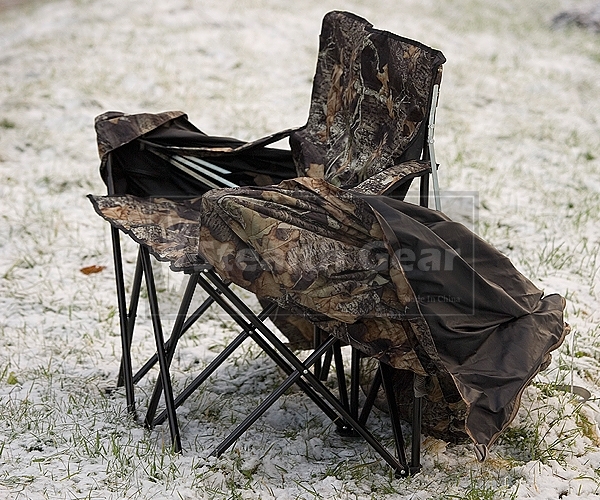 Chair capacity: 500lb, the colour of the chair is black. 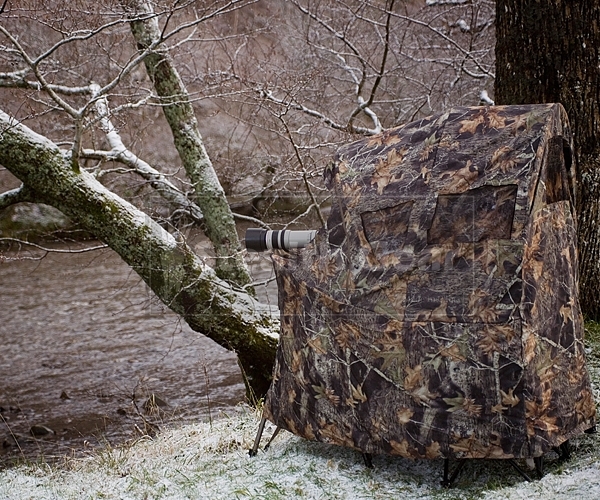 The camo-tree camouflage pattern was designed in the UK for UK countryside, this camouflage can be used all year round. Most camouflage patterns are designed in the USA for their countryside, but Camo-Tree has been designed by a team of professional wildlife photographers who wanted to get the best camouflage for their working environment. 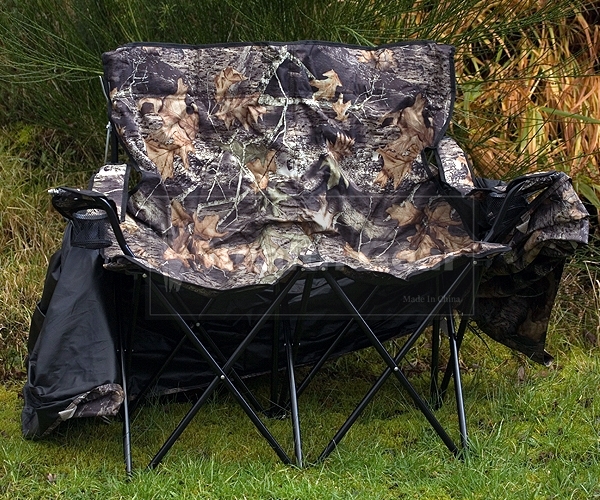 Rest assured that Camo-Tree is ideal for the UK countryside.